How did Sergio keep his illness a secret for a year? 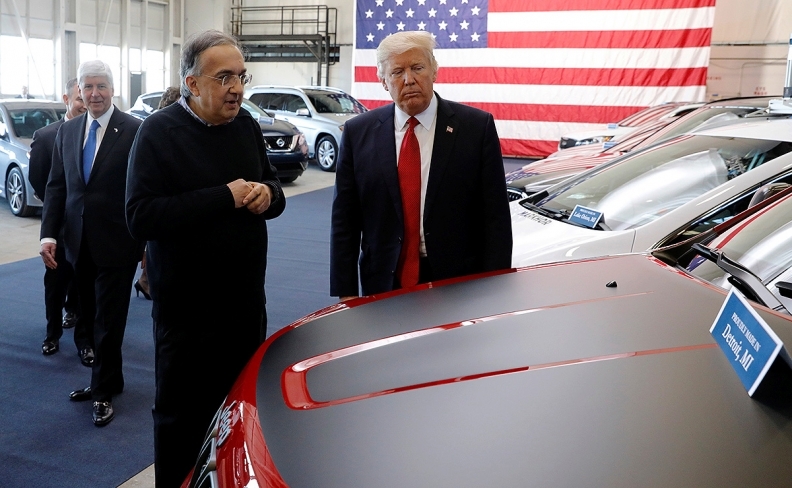 Marchionne, pictured with President Donald Trump in 2017, was so important that Fiat Chrysler's annual report included a risk disclosure about his management. The shock revelation by a Zurich hospital that Sergio Marchionne had been seriously ill for more than a year raised the obvious question: How could a chainsmoking workaholic disguise it from senior colleagues? The former CEO of both Fiat Chrysler Automobiles and Ferrari, who died on Wednesday, didn’t disclose his health condition to public shareholders of the two automakers. Their combined market value tops US$50 billion, but has dropped almost 10 per cent since he was replaced last week. Fiat Chrysler has said it wasn’t aware, and the family has also said it didn’t inform either company. Fiat Chrysler, citing health privacy, said it had “no knowledge of the facts” regarding the illness of its former CEO, responding Thursday to the hospital’s statement he had been ill for more than a year. Marchionne’s family confirmed that the companies weren’t told of his condition until late last week, when they were notified he wouldn’t return to work. Until disappearing from public view on June 26, Marchionne had continued to run the companies on a relentless schedule, overseeing the formation of a new five-year plan for Fiat Chrysler that was presented on June 1. Marchionne’s unexpected death and the lack of information released by Fiat Chrysler have generated media speculation about how much the company knew and what it should have disclosed. The CEO, who had saved Fiat from bankruptcy when he took over in 2004 and then gone on to rescue Chrysler by putting the two companies together, was so important that Fiat Chrysler’s annual report included a risk disclosure on Marchionne. Despite his planned retirement in April 2019, he “is critical to the execution of our strategic direction and implementation of our business plan,” it states. 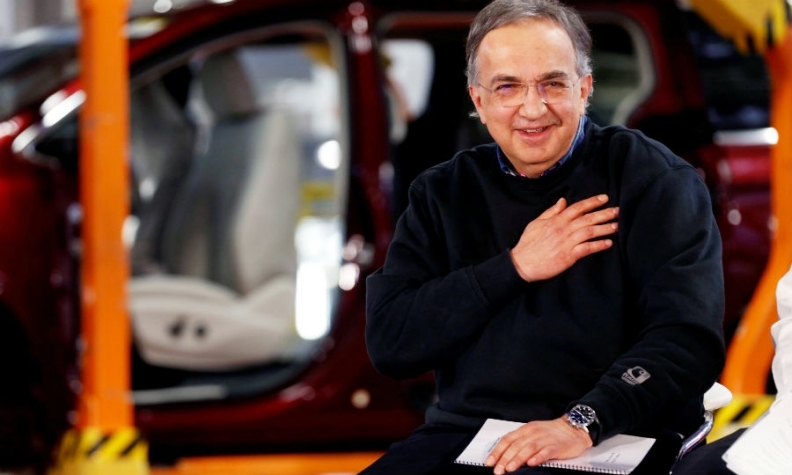 Marchionne ran FCA on a relentless schedule. The turn of events serves as a reminder that, when a top corporate leader is concerned, health isn’t always a private matter. A seriously ill CEO presents corporate boards with a range of complex questions about what to tell the public and when, said Doug Chia, the executive director of the Governance Center at the Conference Board, a U.S. business think tank. “Frankly it’s a tricky situation, because there are medical privacy issues here and it’s a very personal thing,” he said. While investors are right to expect to be informed when a leader’s future is at risk, “it’s just very difficult to judge when does that point come,” he said. Legal questions also come into the equation. Privacy laws in Switzerland, which invented private banking, are notably strict, and Marchionne, who had a home near Zurich, was a resident of the country. University Hospital Zurich said Thursday it had broken protocol and addressed Marchionne’s illness to dispel “rumors in the media” about his medical treatment. While the company said it didn’t have the facts, it wasn’t forthcoming with some information it now says it knew. On the same Friday when Fiat Chrysler says it was informed about Marchionne’s condition, the company also denied a report that top managers were preparing to meet to choose a successor. In fact, its board did meet the next day, when it named Michael Manley as the new CEO. Fiat Chrysler said in its statement that it was “was made aware with no detail” on July 20 that Marchionne’s condition had deteriorated, and that he wouldn’t be returning to work. The automaker “promptly took and announced the appropriate action the following day,” it said. Reports in the Italian media this week suggested that Marchionne was suffering from cancer. People close to the late executive, however, told Bloomberg News that this was untrue, declining to go into more detail about his condition, citing his family’s wish for privacy -- except to say that the proximate cause of his death was cardiac arrest following the surgery. Swiss press also weighed in. Free sheet 20 Minuten interviewed a crisis communications manager on Wednesday who suggested the university hospital should communicate “quickly and transparently” to rein in wild speculation about the cause of death and to preserve its reputation. The health of a CEO is a serious and potentially market-moving matter for employees and shareholders, especially when one is as closely identified with a company’s success as Marchionne was. He was set to retire from Fiat Chrysler in April 2019 but no successor among those jostling for the position had been chosen. Marchionne, who took the helm of Fiat in 2004, was revered in the car industry for transforming an Italian also-ran into a globe-spanning giant by taking over bankrupt Chrysler, and for creating shareholder value by spinning off Ferrari, among other units. Colleagues and analysts were amazed by the pace he kept, working seven days a week all year long and shuttling constantly between Fiat Chrysler’s hubs in Turin, Italy; Auburn Hills, Michigan; and London, as well as a home in Zurich. Investors purchasing shares in Fiat Chrysler or Ferrari would have had every expectation until a few days ago that they would continue to benefit from his leadership. He was a chain smoker until giving up the habit about a year ago, and drank copious amounts of espresso. It was a career trajectory not entirely dissimilar to that of Steve Jobs, the legendary founder of Apple, who made the company the world’s hottest technology brand before his own untimely death, from cancer, in 2011. In 2009, as Apple watchers became concerned about his increasingly gaunt appearance, Jobs said he was struggling with a “hormone imbalance” that would be simple to treat. Less than two weeks later he announced he would take a medical leave for unspecified reasons, during which, it later emerged, he received a liver transplant. Apple was criticized for not being more transparent with investors about Jobs’s prognosis, given his reputation as the technological wizard behind products such as the iPhone. CEO health was also a hot topic late last year, after the leaders of railroad operator CSX Corp. and U.S. lender M&T Bank Corp. died on the same day, the former within a couple of days of announcing a medical leave. CSX said later that it would require its top executive to undergo a physical each year. Determining what to tell shareholders about a corporate leader’s health is a legal and moral dilemma that can flummox even experienced board members. First, the legal: The U.S. Securities and Exchange Commission doesn’t specifically require companies to reveal executives’ health issues. Rather, health problems are grouped with any other “material” changes that would force a disclosure, like an accounting failure or a fire that shuts down a major factory. The definition of “material” is, of course, inexact. But getting it wrong risks opening a company to lawsuits from investors who may claim it concealed market-moving information. Fiat Chrysler is listed in New York and Milan. Then, there are moral questions. Just like anyone else, a CEO should be free to deal with illness away from the glare of media and shareholder inquiries. What’s more, sometimes boards are no more in the loop than are investors. An executive may not always keep his or her board fully apprised of health problems, especially those that seem manageable. Wary of criticism, some U.S. companies have sought to err on the side of over-sharing about executives’ health. When JPMorgan Chase & Co. CEO Jamie Dimon was diagnosed with throat cancer in 2014, the company provided employees and shareholders with details of his diagnosis and treatment plan, drawing praise from investors including Warren Buffett.